H&M’s Holiday 2015 commercial sees Katy first appearing as a fairy before conjuring to life an unbelievable cast of characters, from life-sized gingerbread men, to oversized presents on roller skates and giant teddy bears. The action is fast-paced and ever-changing, with Katy giving every scene her own twist. The soundtrack to the commercial is “Every Day is a Holiday,” a new song written by Katy and produced by Duke Dumont specially for the Holiday commercial. “I had such a festive time shooting this larger-than-life holiday commercial with Jonas Åkerlund, and all of the fun clothes, especially my favourite, the Elfie Selfie sweater. H&M has been a part of the evolution of my personal style since I was 13, when I would start to incorporate fun, affordable H&M pieces into my vintage wardrobe. I can’t wait for you to give your wardrobe some sparkle with this magical holiday collection,” says Katy Perry. In this latest campaign, Katy appears in looks from the H&M Holiday collection that mix festive glamour, style and fun. It includes pieces such as lipstick-red dresses, tuxedos with open sleeves and a T-shirt embroidered with sequined red bows. There are special details everywhere, from the fringing on a black mini skirt to the perfect Christmas jumper. H&M’s Holiday collection will be available in H&M stores worldwide from mid-November 2015. “I love the mix of style and updated traditions in this year’s Holiday collection. These are pieces for pure pleasure, whether it’s the perfect party dress for the best night out, or the cosiest fun jumper for relaxing with friends and family,” says Pernilla Wohlfahrt, H&M’s Head of Design. 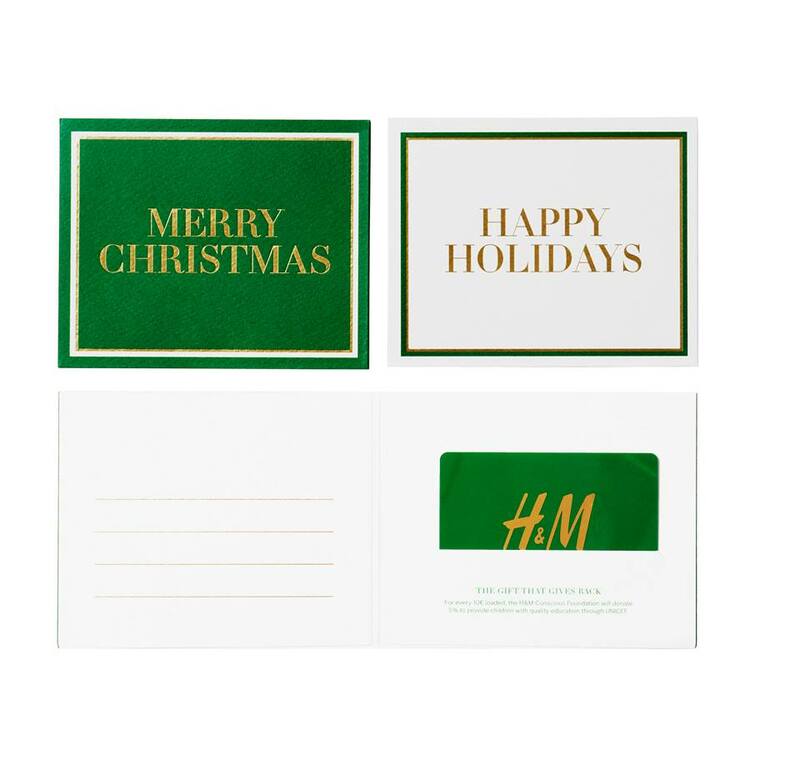 This holiday season, H&M is committed to supporting the children in Myanmar with specially-designed gift cards. For each card bought, the H&M Conscious Foundation will donate 5% of the price to UNICEF. UNICEF will then use the money to provide quality education for vulnerable children in Myanmar, where there is urgent need to improve access to basic education. Through the gift card campaign, UNICEF and the H&M Conscious Foundation aim to directly reach more than 350,000 children with quality primary and lower secondary school education in the Rakhine State. Shoppers will get to enjoy special Holiday deals of up to 50% off at all H&M stores in Malaysia starting 17 November 2015. In addition to that, with any purchase from 23 to 30 November 2015, shoppers will receive a special Holiday voucher and get to enjoy different discounts each week in December. Now here’s a look at the collection.